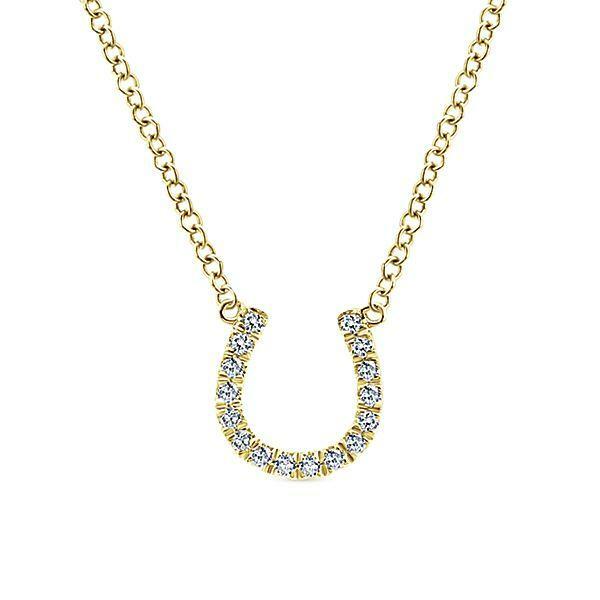 A diamond horseshoe pendant adds a dash of whimsy to this luxe gold necklace. 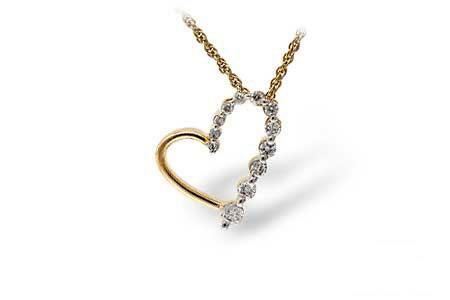 The necklace features .08ct of round full cut diamond melee offering G-H color and SI clarity. NOTE: Necklace is in stock yellow gold and can be ordered in other metals.